A superb 19th century chest of drawers. Probably German circa 1890. 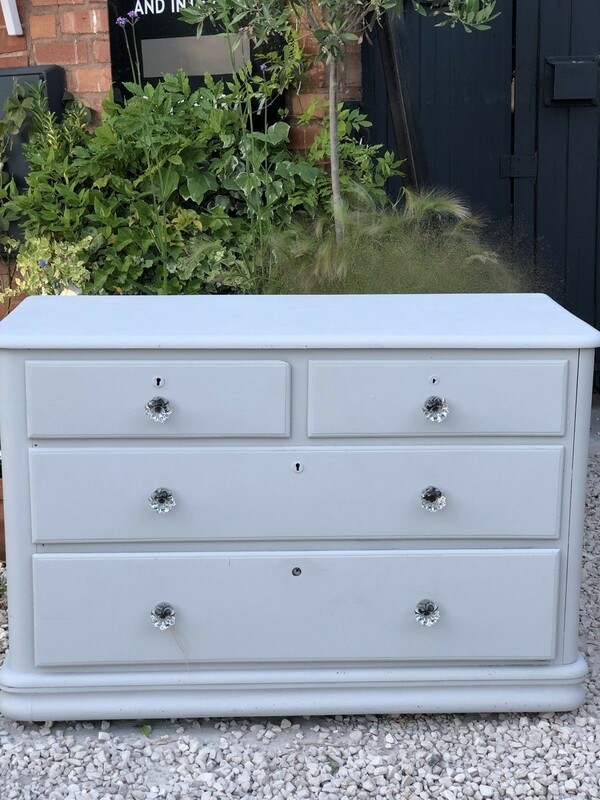 Two long drawers with two smaller above. Interesting large crystal style drawer pulls. 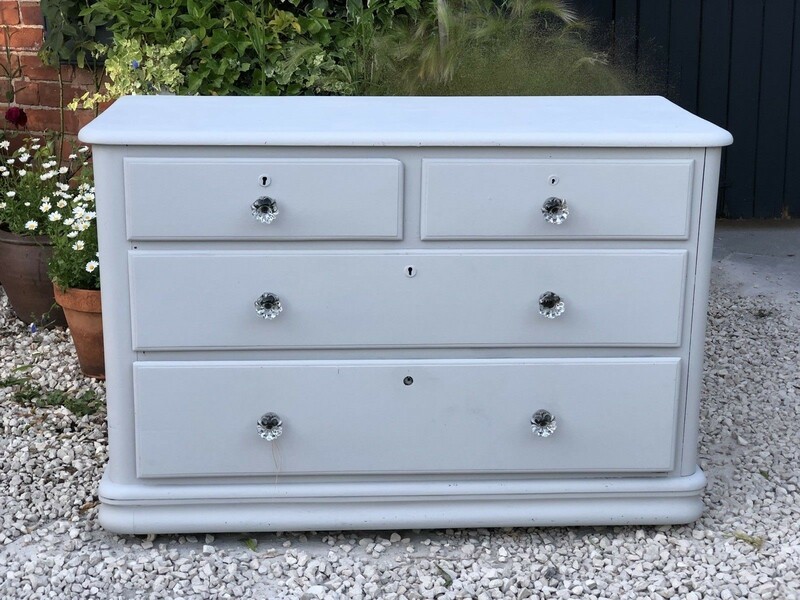 The chest has a pale French grey painted finish. Quite neat with a little wear to the paint in places but not much so quite a clean fresh piece. Some brush strokes etc as this has a hand painted finish to it. The chest is on four original casters so it’s easy to clean behind etc. The insides of the drawers aren’t painted and have a 19th Century paper lining on the bottoms. 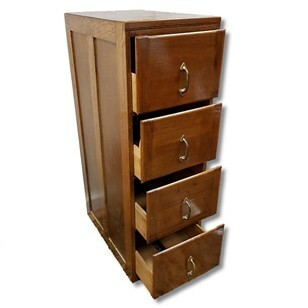 All the drawers pull nicely.